Living with Fibromyalgia: 5 Things People Don't Commonly Know - Piedmont Physical Medicine & Rehabilitation, P.A. If you’ve read our previous post, “What is Fibromyalgia and 9 Symptoms to Watch Out For,” then you’ll know it is a difficult disorder and condition to live with. Although fibromyalgia is sometimes offset by a traumatic accident or prior disease, there are times where it is idiopathic – giving the sufferer no explanation or reason for why and how. Reading about what fibromyalgia is may give someone the understanding about the symptoms and treatments, but living with fibromyalgia is another story entirely. There are so many facets about this disease that don’t get written or talked about. 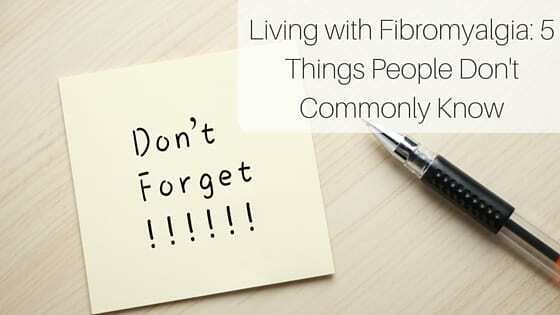 So we’re going to try to break the wall and give you a better idea of what living with fibromyalgia is like and tell you 5 things people don’t commonly know about fibromyalgia. This is a big misassumption about fibromyalgia. Disorders and conditions like this only happen to those in their middle ages or later, right? Wrong. Fibromyalgia can affect anyone at any time in their life. You may be a young woman starting her sophomore year in college or you may be her dad that’s wishing her the best of luck on her new adventure. Fibromyalgia has no rhyme or reason to who it affects. The only know thing that you must be aware of is what’s happening in your body and to be proactive in getting help. If someone doesn’t hear about fibromyalgia on the television, on the radio or commonly amongst his or her peers, they might not think it’s real. If it’s such a debilitating condition, then why is nobody talking about it? There are many answers to this question. For one, unlike a lot of common and mainstream disorders and conditions, fibromyalgia doesn’t have an apparent way of showing itself; there’s no bruising, scars or hair loss – the pain is primarily internal and the effects of it internalized. Because there are no apparent signs of the condition, it leads people to disbelieve. A part of fibromyalgia might be having to defend yourself against a lot of naysayers, or at least being at peace with knowing that some people simply won’t understand. 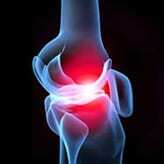 The general understanding of fibromyalgia is that is causes pain. Body pain, tender points and headaches are all a packaged deal. But it’s hard for those on the outside to understand what that actually means – how the pain isn’t just an aching muscle that can be massaged or iced away, but how it’s constant and unyielding. 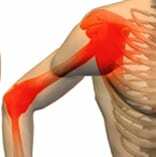 Fibromyalgia means tender muscles, continual fatigue, morning stiffness, headaches and migraines. It means all of that growing and slowly consuming different aspects of your life. Morning workouts might slowly fade out of your routine because you can’t cope with the pain and the exhaustion, and a good time out with friends might mean extreme migraines to follow. The inability to be able to do the things you took for granted can wear you down both mentally and physically. At the end of the day, there might be few people who understand what you’re going through. Your family and friends will be there to support you and help you out, but ultimately, being happy with what you have depends on you. You might get dragged into a spiral of depression, allowing the pain to trap you inside your head, or you your condition of fibromyalgia might not even be that bad; but whatever it is you are battle, you have to know that there is hope, and ways to make it better. You’ll have make a few rearrangements in your life, knowing what is within your limits. You’ll realize that the friends and family members that truly care for you will choose to grow with you throughout this experience. You’ll have to know that there are going to be terrible days but also really great and happy days. And you’ll have to realize there is no permanent solution, but there are stepping stones to help you get better, feel better and cope with the fibromyalgia better. Fibromyalgia for everyone is different. No two cases are the same. Your case of fibromyalgia can be quite extreme or fairly mild, but only you will know what it is your body is going through. Have faith, hope and understanding of what you’re going through. You are in charge of the decisions you make a whether or not you want to have a happy like with fibromyalgia. Fibromyalgia is definitely not a disorder to joke about. It’s a condition that brings a lot of ups and downs but that doesn’t mean you should let it take over your life. At Piedmont Physical Medicine and Rehabilitation, we understand that fibromyalgia can get better with treatment. We’ve had several successes, and have brought relief to those suffering. Sometimes home remedies and prescription medicine isn’t always enough, and other avenues need to be implemented. If you feel like you have fibromyalgia or are currently suffering, contact us now for an assessment so that we can suggest treatments for solutions.